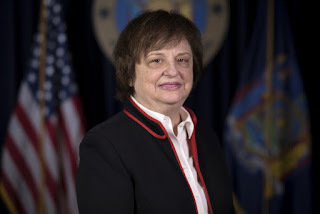 NEW YORK, N.Y. -- As New Yorkers prepare for the holiday shopping season, Attorney General Barbara D. Underwood issued tips to help consumers protect themselves on Black Friday and Cyber Monday. "As holiday shopping season begins, New Yorkers should be on alert that sometimes bargains may not be as good as they seem," said Attorney General Underwood. "When purchasing gifts for family and friends, we encourage consumers to use our tips to protect themselves against fraudsters and scams." Beware of misleading bargains and added fees. The "sale" price may have been marked up before it was marked down – nullifying the impact of the sale. Often, the touted "sale" price may, in fact, be significantly higher than the price for that same item later in the season. Additionally, delivery charges and/or other added costs such as assembly fees are often not reflected in the "sale" price. In many cases, hidden costs like these may negate the value of the sale. Compare warranty terms. Not all warranties are the same. Make sure you read the terms of any warranty to learn what protections you get and the duration of those protections. This could significantly affect that cost of an item over the long run. Know the terms of a layaway plan. The law requires merchants to give a detailed description of the merchandise to be purchased on layaway plans, the total cost of the items including all charges, the duration of the plan, the required payment schedule, the consequences of missing payments, the refund policy, and the location (if other than the place of purchase) where the merchandise is being stored. Check return and refund policies. The law requires all merchants to post their refund policies. A store that fails to do so must give consumers 30 days to get a refund in the manner that the purchase was made. With Black Friday falling early this year on November 23, and Cyber Monday on November 26, be mindful that – if a merchant has a refund policy of 30 days or less – items purchased on those days to be given as presents on Christmas Day or later may not be returnable. Be especially vigilant of "final sales" or "cash-only – final sale" notices, as you will have little or no recourse if the merchandise proves to be defective. Some stores will require the original packaging and charge a hefty restocking fee for returned items. Beware of restricted gift cards. Be sure to read the terms and conditions of gift cards before purchasing. It is illegal to deduct any fees for non-use within 25 months of purchase or to have an expiration date of less than five years from issuance. Use your gift card as soon as possible. If it later appears that your card has expired, or that fees have been deducted, contact the company that issued the card. It may still honor the card or refund the fees. Shop only on secure Internet connections. Do not conduct any transaction that involves personal, financial, or credit card information while using an open and unsecured Wi-Fi connection. Be careful not to shop, conduct business, or send sensitive or personal information out on these networks because identity thieves often stake out open networks. When entering payment information online, you should verify that the URL begins with https://, in order to protect yourself from identity thieves and cyber criminals. URLs that begin with https:// instead of the standard http:// are secured by SSL – an internet security protocol. Do not be tricked by confusingly similar website and domain names. Pay particular attention to your retailer's URL when shopping online. Scammers use variants of a known company's Internet address to try and lure users into visiting fake websites. They often target users through email or social media. Avoid clicking on links from email or social media sites. Watch out for websites with URLs that differ slightly from those of legitimate online retailers, and links that appear genuine but direct your browser to a completely different URL. To ensure safe shopping online, type the URL of your desired retailer directly into your web browser — and watch for typos. Protect yourself by using credit or debit cards. With the advent of point-of-sale malware and rampant data breaches, identity thieves are now more sophisticated and dangerous than ever. If you are going to make purchases online, you can best protect yourself from the risks of identity theft and fraud by using credit or debit cards. Determine which is best for you and your purchase needs. Credit: Credit cards generally offer better purchase protection and fraud dispute resolution than other methods of payment. When you use a credit card, you are accessing a line of credit from the issuer. Note that each purchase is essentially a loan you must repay later, often with high interest. Debit: There is little risk getting into debt with debit cards, but be careful of overdraft charges. Debit cards are best used to avoid credit traps, but be aware that if your information is stolen, fraudulent charges are deducted directly from your checking account. Check with your bank to confirm what protections are offered with debit cards; if your debit card is lost or stolen, you must report it within two business days to limit your loss to $50. Be wary of too-good-to-be-true contests and prize promotions. Consumers should be suspicious of any emails, messages, or posts on social networks promoting giveaways or contests that seem too good to be true (g., free high-value gift cards, tablets, and smartphones). These "contests" are often scams designed to bilk consumers out of money and/or to collect consumers' personal information for resale. Genuine sweepstakes and contests are commonplace on the Internet; however, you should avoid any contest or promotion that requires you to pay money or to perform any sort of financial transaction. Think twice before participating in promotions that require entrants to register with multiple third-party websites; often these are ploys to build marketing lists. Promotions that require users to provide more than simple contact information may even be phony or run by scammers who resell consumer information to collect referral fees. Read the fine print. Broadly worded promotional offers and advertisements often mislead consumers into paying full price for items they believed were on sale. Consumers should carefully examine Internet deals by reading any and all fine print in the promotional materials and identifying the exact brand and model number on sale. Consumers should also avoid bait-and-switch advertisements or promotions that lure consumers with basement prices that are not guaranteed to be in stock. Fine print stating that quantities are limited is a tell-tale sign of this bait-and-switch tactic.